Chartering a yacht is a unique and special opportunity - it’s just you and your own luxury yacht to be used for Private or Corporate entertainment that will impress your friends, family or clients in a truly exclusive and original way. 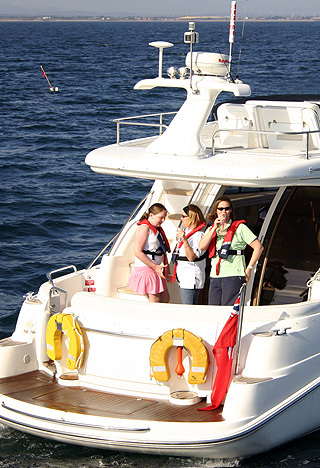 At Oceanic Yachts, we specialise in exclusive intimate charters for parties of up to eight people, offering a discrete service which is tailored specifically to your exact requirements. 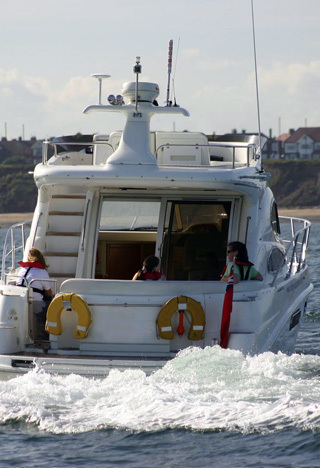 Exclusive day or night cruises, which can feature lunch, supper, drinks and your choice of destination - thereby giving your family, friends or clients a special occasion to remember. Departing from our base at Royal Quays Marina, or from City centre venues such as Pitcher & Piano/ Malmaison Hotel, your voyage might take in the bright lights of the city, cruising along the Tyne with its iconic bridges, outstanding modern buildings and the rich maritime history of North and South Shields, alternatively you may choose the dramatically beautiful coastlines of Northumberland and Durham, experiencing the wild beauty of the Farne Islands or the charm and romance of historical Whitby. 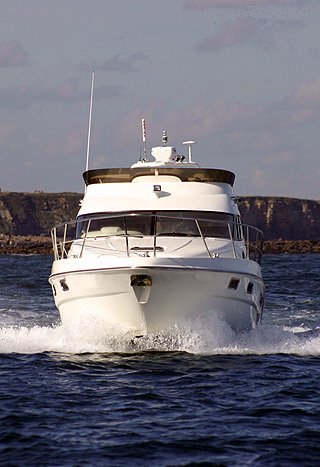 Luxury Private Charter for up to 4 quests with spectacular voyages between Newcastle and a location of your choice such as Edinburgh or Scarborough – living on board and staying in our stunning staterooms. All quotes include fuel and crew costs, tea, coffee and snacks (crisps, nuts etc.) excluding VAT and additional crew requirements. Buffet and alcohol requirements will be priced on an individual basis.